NEW BRITAIN – With a late-summer heat wave sweeping across the region, schools in the city will have early dismissals today and again on Thursday. Schools in New Britain, Bristol and Farmington had an early dismissal Tuesday as temperatures reached the mid to high 90s. Elementary schools in Southington closed early as well, though the district’s middle schools and high school stayed open for the full day. The National Weather Service expects temperatures to reach the high 80s on Wednesday and Thursday before cooling down. “We want to be sure that the kids have cool places to go,” Superintendent Nancy Sarra said at Tuesday’s Board of Education meeting. The NWS had issued a heat advisory hazardous weather outlook until 6 p.m. on Tuesday for much of Connecticut, Massachusetts and Rhode Island. Humidity was high and the NWS said heat-related illnesses were possible. “The heat and humidity may cause heat stress during outdoor exertion or extended exposure,” part of Tuesday’s advisory read. During these conditions, the NWS advises people to drink plenty of fluids, stay in an air-conditioned rooms, stay out of the sunshine and check up on relatives and neighbors. People should take extra precautions when working or spending time outside. While New Britain High School has air conditioning, many of the city’s elementary and middle schools do not. Because of this, early dismissal was necessary. Since these are early dismissals rather than full days off, students won’t have to make these days up in June. “Mr. Moore (Ray Moore, chief facilities and special projects manager) and myself will be meeting with the mayor to discuss potential options for looking at cooling in our buildings going forward. Given the trend in temperatures – we’re just in the beginning of September and we don’t want to keep doing this every single year,” Sarra said. Mayor Erin Stewart tweeted Tuesday morning that the city’s splash pads will remain open because of the excessive heat. Stewart said the pads will remain open at least for the remainder of the week as temperatures are supposed to cool Saturday. Students in the city haven’t had a full day of classes yet this year. 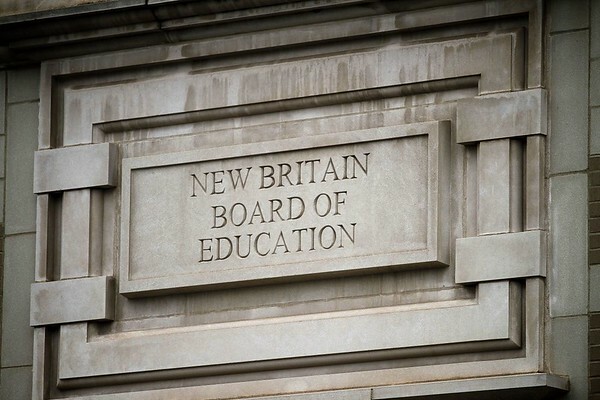 The school year for New Britain began on Thursday, Aug. 30, and students had half days on each of their first two days before a three-day Labor Day weekend. Posted in New Britain Herald, General News, New Britain on Tuesday, 4 September 2018 20:43. Updated: Tuesday, 4 September 2018 20:45.